Elle: I just don't think that Brooke could've done this. Exercise gives you endorphins. Endorphins make you happy. Happy people just don't shoot their husbands, they just don't. 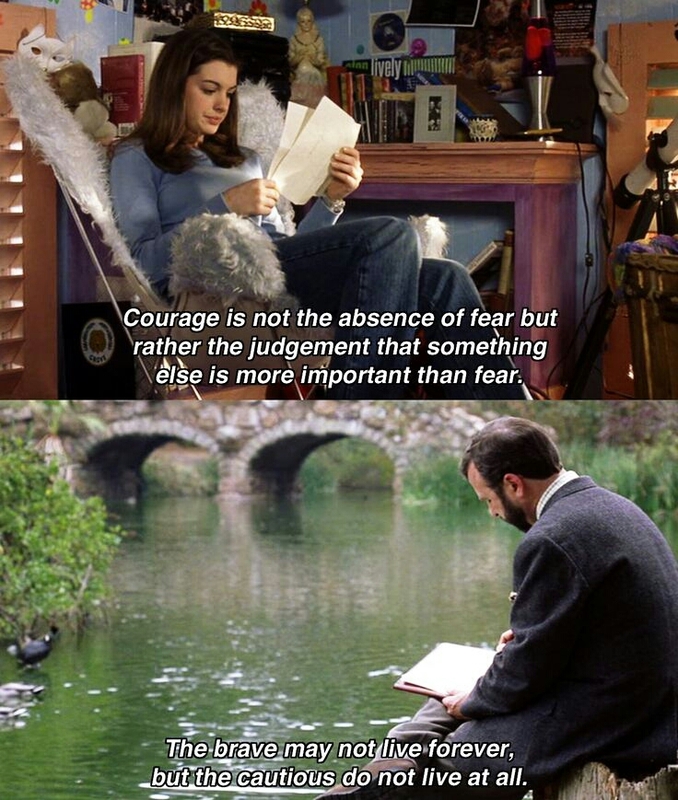 Eduard Christoff Philippe Gerard Renaldi, Prince of Genovia: Courage is not the absence of fear, but rather the judgment that something is more important than fear. The brave may not live forever, but the cautious do not live at all. This morning was good. But then I got up. Matt: …Jenna, I've always loved you. Gretchen: Oh my God, Karen, you can't just ask people why they're white. Olive Penderghast: Whatever happened to chivalry? Does it only exist in 80's movies? I want John Cusack holding a boombox outside my window. I wanna ride off on a lawnmower with Patrick Dempsey. I want Jake from Sixteen Candles waiting outside the church for me. I want Judd Nelson thrusting his fist into the air because he knows he got me. Just once I want my life to be like an 80's movie, preferably one with a really awesome musical number for no apparent reason. 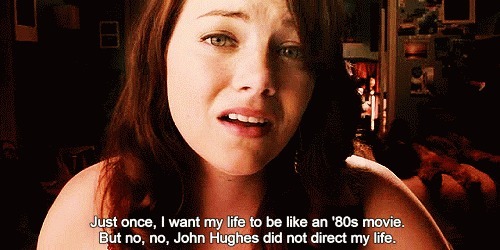 But no, no, John Hughes did not direct my life. You made me feel like you really like me…and then you just left, just like it was nothing. Aubrey: You call yourself Fat Amy?